Save AED 75 (45.45%) – Earn 9 Shukrans What is Shukran? Shukran is the Landmark Group’s award-winning loyalty programme in the Middle East, which allows you to earn Shukrans when you shop any of our brands. 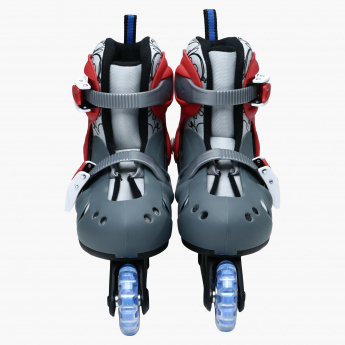 Packed neatly in a transparent, zippered pouch, this pair of roller skates sport an inline pattern. 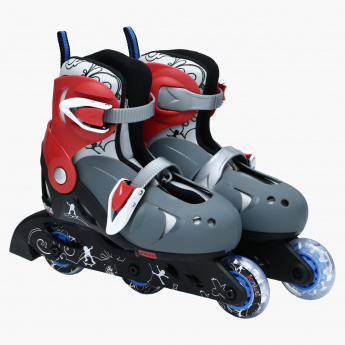 With three wheels, the set allows your kids shoes to fit in conveniently. The protective straps help fasten it tightly.